From the prestigious Royal Mint, the 2018 Queen's Beast 2oz Silver coin depicts a spectacular Unicorn ready for battle. The unicorn bears a shield featuring the lion rampant that is the Royal Arms of Scotland. 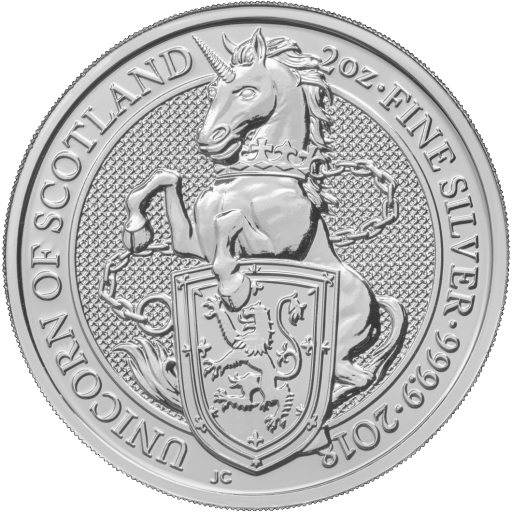 Choose the 2018 2oz Queens's Beast Silver Unicorn as a gift or to add a unique coin with historical significance to your investment profile.